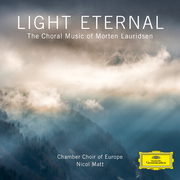 We're adding some sunshine to the darkness of winter with this classical album of the week: American composer Morten Laurdisen's Light Eternal. It's a new release from the composer of O Magnum Mysterium that includes some of Lauridson's best-loved works, compiled in honor of his 75th birthday. Lauridson's radiant choral works have been enchanting listeners for decades. His choral writing was recognized for its "musical beauty, power and spiritual depth" when he was awarded the National Medal of Arts by President George W. Bush in 2007. 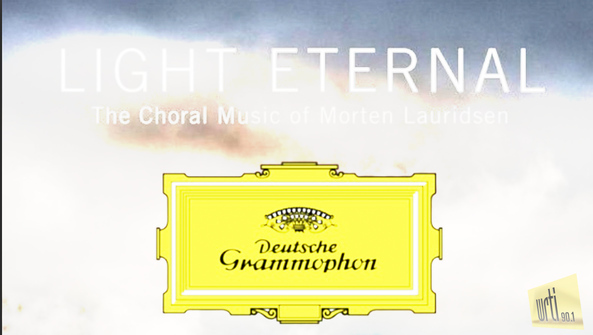 Light Eternal features the Chamber Choir of Europe conducted by Nicol Matt. The album includes O Magnum Mysterium, Lux Aeterna, and other favorites, along with two newly recorded pieces-a setting of a sonnet by Pablo Neruda, and Prayer, set to text by Dana Gioia, the current poet laureate of California, where Lauridsen makes his home.